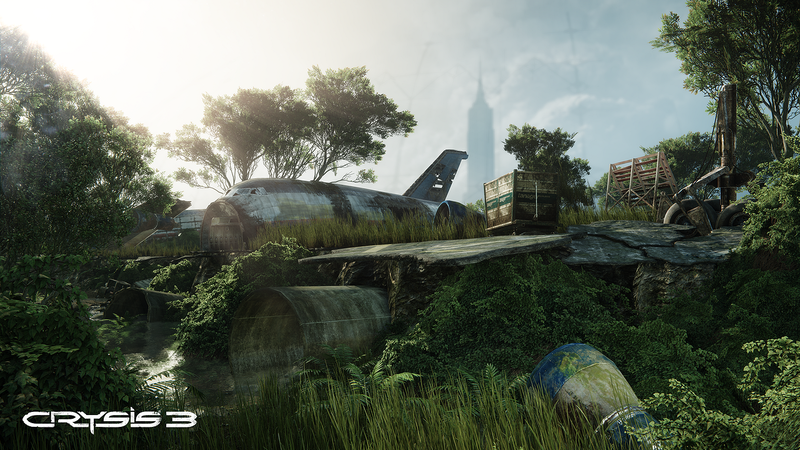 Long-awaited sci-fi first-person-shooter Crysis 3 is coming out next week for PC, Playstation 3, and Xbox 360! Release dates are 19th of February for United States and 21st of February for Europe and Australia. Be sure to Pre-order Crysis 3 if you're a shooter-game fan. The game is developed by Crytek, who are previously known of original Far Cry as well as two Crysis 3 predecessors (1, and 2). The game will be published by Electronic Arts. Crysis 3 will feature brand new single-player campaign with revamped multi-player mode. …but in beautiful environments. Game will use improved CryEngine 3 (which was also used in Crysis 2), and will attempt to crank out everything from modern PC hardware too. In fact, some of the special graphical improvements will only be visual in PC version of the game in highest graphical settings. No doubt about it, CryEngine 3 is one of the most visually impressive game-engines of this game generation (before the next generation consoles come in). Multiplayer mode will feature eight different gameplay types with all new maps and loads of new weaponry. The most hyped multiplayer-mode has definitely been “Hunter”-mode, a sort of a survival-mode, where teams are split into two: C.E.L.L. troopers (10-14 players depending whether using PC or Console) with decent gear versus. two “hunters” wearing high-tech nanosuit with cloaking ability and bows with arrows. The “Hunter”-mode will last five rounds of two minutes. Troopers are being hunted by hunters who due their cloaking devices are hard to spot and can ambush hell out of the troopers with their silent bows. Any trooper who dies within the round becomes then hunter for the rest of the game. The trooper who survives the longest wins. Hunter mode should present some thrilling online-gaming moments. Crysis 3 will feature quite decent selection of weaponry ranging from Assault rifles (SCAR, SCARAB, Typhoon), Sub-machine guns (Feline), Shotguns (Jackal, Marshall), Sniper-rifle (DSG-1), Sidearms (Hammer, Majestic), Heavy weapons (HMG, MK. 60 mod 0), to Explosive weapons (M17 Frag Grenade, Ceph Plasma, X-PAC).. or would you like to use a Compound Bow instead to shoot an arrow to your enemy’s neck instead? For example Typhoon has huge blast of 720 round magazine with very rapid fire rate, while Jackal is fully automatic assault shotgun for close quarters combat, and HMG is heaviest non-explosive weapon that can be acquired in Crysis 3.